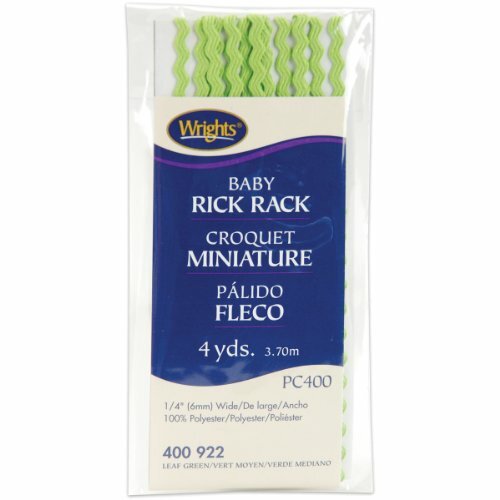 WRIGHTS-Baby Rick Rack. 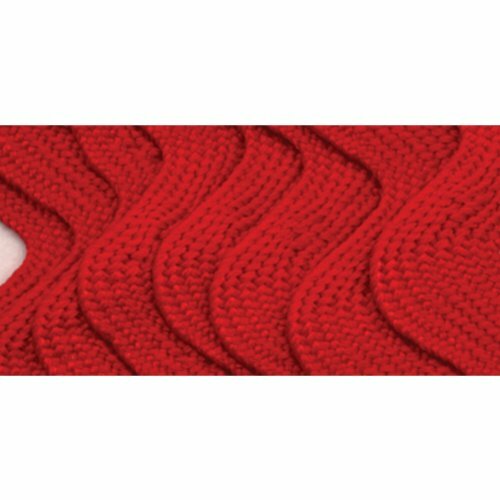 Use this ribbon to create a decorative trim, or to add to a variety of fabric or sewing projects. It is made of 100% polyester. 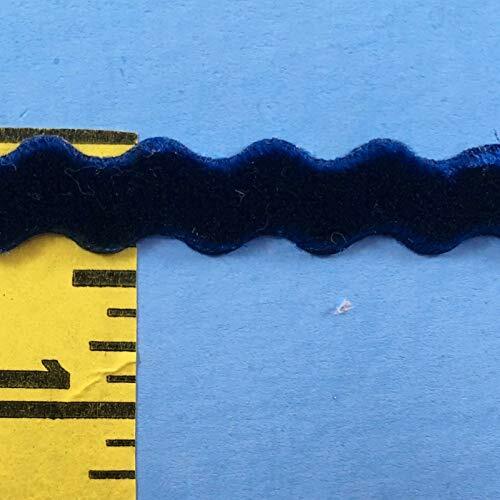 This package contains 4 yards of 1/4 inch wide rick rack. Available in a variety of colors, each sold separately. Made in USA. 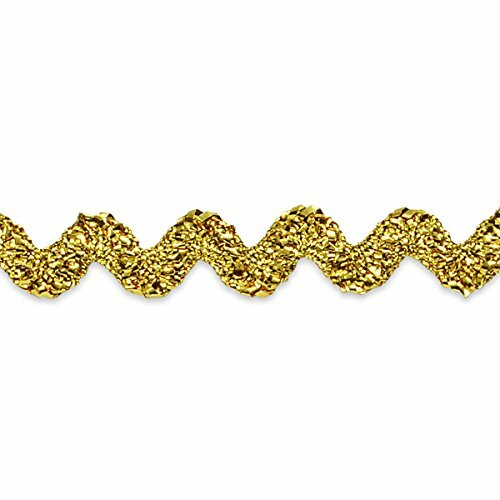 36 yards of 1/4" Metallic Baby Ric Rac Trim This fun, wave pattern trim adds light-hearted creativity to any costume or craft idea. Trims are interlocking, so mix and match colors to suit any color scheme and create a cohesive and well-coordinated look. 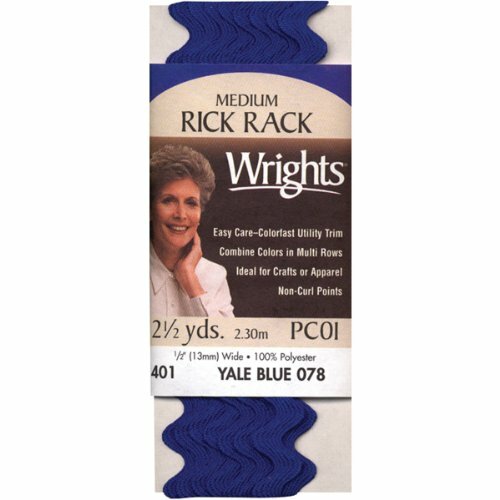 Wrights rick rack is an easy to use accent or edging on clothing, accessories, home decor, holiday ornaments, and any craft project. Made of 100-percent polyester material. It can be fused, glued or sewn on, has non-curl points, and is colorfast. Great for multiple row borders. Available in white color and medium size. Measures 2-1/2-yard length by 1/2-inch width. Printed rick rack is a popular and easy decorative trim for everything from wearables to home decor and accessories to toys. Made of 100-percent polyester material. It is easy care and colorfast. Imported. Available in rainbow color and jumbo size. Measures 2-1/2-yard length by 5/8-inch width. 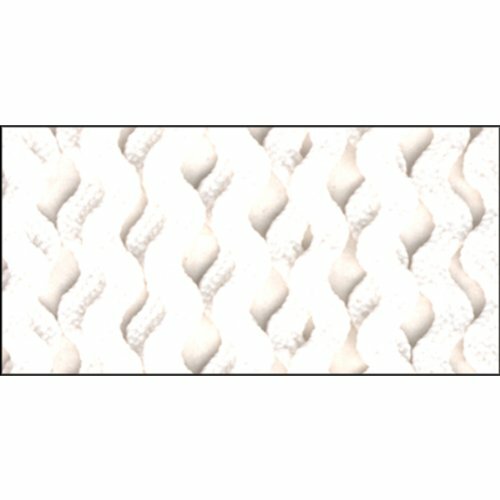 This metallic rick rack trim is used for apparel, linens, scrapbooking, fashion accessories, costuming and crafts. Glue or sew for a great finished look to any project. Made of non-tarnishing mylar. It is machine washable. Available in gold color. Measures 4-yards length by 1/4-inch width. Baby Rick Rack is an easy to use accent or edging on clothing, accessories, home decor, holiday ornaments and any craft project. Made of 100-percent polyester material. It can be fused, glued or sewn on, has non-curl points and is colorfast utility trim. Great for multiple row borders. Machine washable. Available in leaf green color. Measures 4-yard length by 1/4-inch width. Baby Rick Rack is an easy to use accent or edging on clothing, accessories, home decor, holiday ornaments and any craft project. Made of 100-percent polyester material. 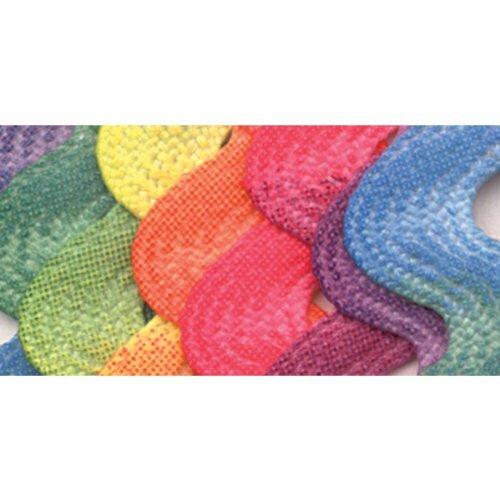 It can be fused, glued or sewn on, has non-curl points and is colorfast utility trim. Great for multiple row borders. Machine washable. Available in white color. Measures 4-yard length by 1/4-inch width. 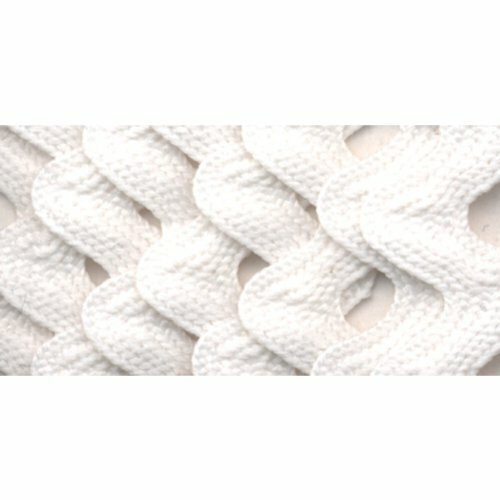 Generous 12 yard bundle of 100% cotton JUMBO White Rick Rack. 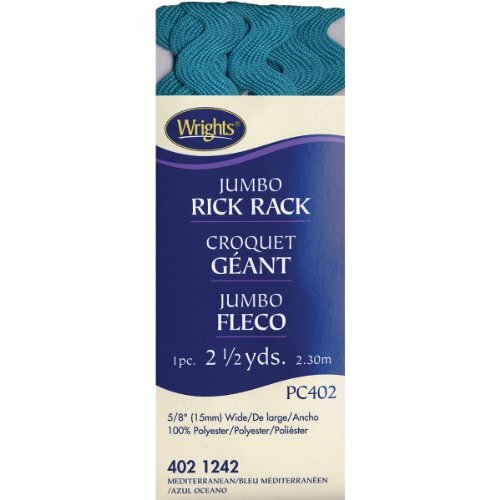 Rick Rack in is a sewing notion designed to act as decorative trim on a variety of craft projects. Made of 100-percent polyester material. 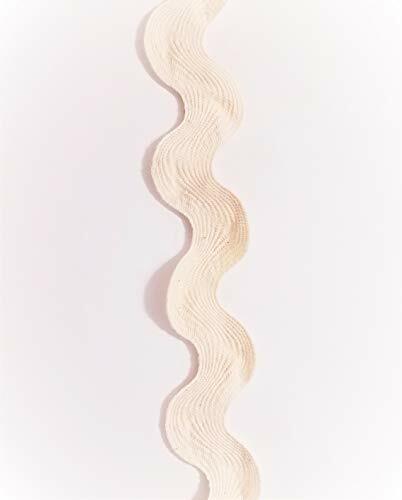 Rick Rack is made by braiding thread into a flat tape creating a zigzag shape. Decorate and trim your clothing, perfect for accenting children clothing. Rick Rack can also be used to decorate curtains, quilts, and an assortment of other craft projects. Some crafters make rick rack flowers and a variety of other crafty uses. Available in red color and jumbo size. Measures 2-1/2-yard length by 5/8-inch width. 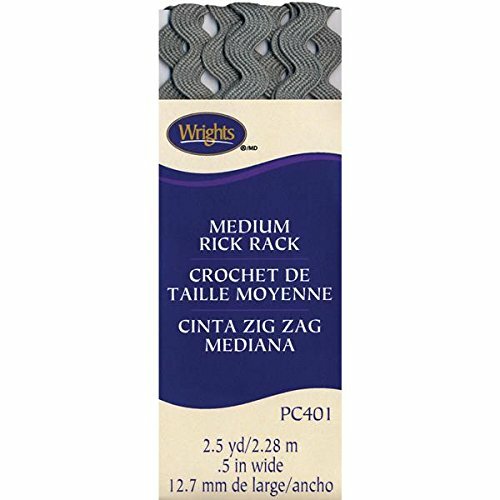 Wrights rick rack is an easy to use accent or edging on clothing, accessories, home decor, holiday ornaments, and any craft project. Made of 100-percent polyester material. It can be fused, glued or sewn on, has non-curl points, and is colorfast. Great for multiple row borders. Available in emerald color and medium size. Measures 2-1/2-yard length by 1/2-inch width. QianCraftKits dedicate to provide customers with high quality products. All the trim ribbon that we are selling are stylishly designed and produced with care to ensure an exact fit for the daily functionality of your , following the principle of "QianCraftKits= Making Better Life Always In". So shop with confidence. Style:Double face design,Perfect for sewing,scrap booking, decorating.Machine washable and colorfast. 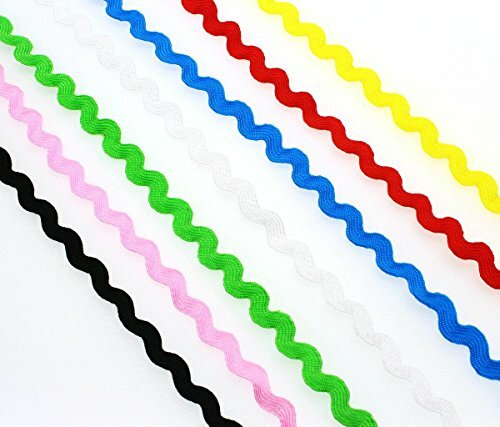 Decorate:Perfect way to decorative trim for clothing, scrapbooking, home decor and many more craft projects.Suitable for gluing, fusing, sewing on and has non-curl points. 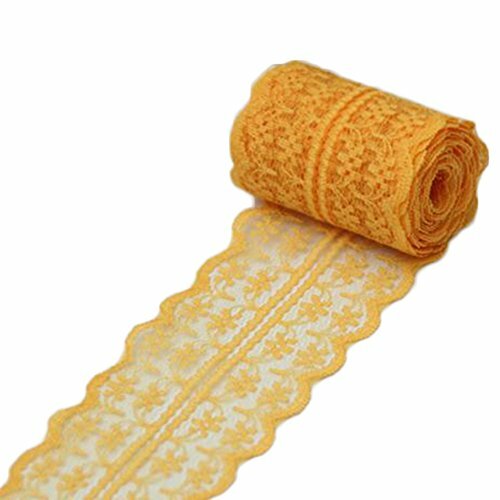 Specification: Size:width-1.97 inches (4.5 cm),Length-393 inches (10m) Package Including:1Pcs Lace ribbon Roll Feature: This lace ribbon is on a handy spool and ready to use for any Creative or decorative Beautiful lace material has excellent elasticity and flexibility and carries great color gradations,boutique shape is simple and elegent,cutsare nice and crisp looking Easy to form wired ribbon great suitable for bow making, wreaths, home decor and gift wrap,beautiful lace burlap ribbon suits your arts and craft needs well; Suitable for wedding decorations,crafts,scrap booking,bows wreaths,party,floral arrangements,home decor and gift wrap vintage sewing card,paper decorating gift baskets,accenting home textiles. Note: Please note that due to lighting effects, there might be some slight differences in the color of the actual item and the picture. This lace ribbon roll is on a handy spool and ready to use for any Creative or decorative endeavor. Easy to form wired ribbon great suitable for bow making, wreaths, home decor and gift wrap,beautiful lace burlap ribbon suits your arts and craft needs well. Suitable for wedding decorations,crafts,scrap booking,bows wreaths,party,floral arrangements,home decor and gift wrap vintage sewing card,paper decorating gift baskets,accenting home textiles. Wrights-Medium rick rack. 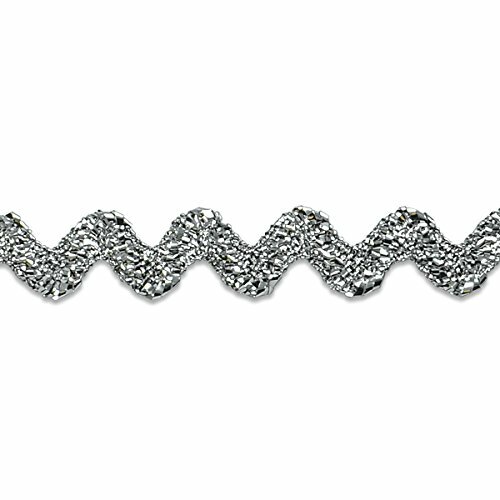 Rick rack is a popular and easy decorative trim for everything from wearable's to home decor accessories to toys. 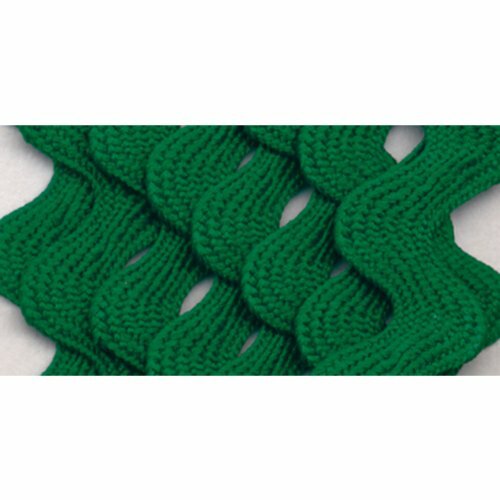 This package contains 2.5yd/2.3m Of 1/2in rick rack 100% polyester. Available in a variety of colors: each sold separately. Imported. Rick Rack in is a sewing notion designed to act as decorative trim on a variety of craft projects. Made of 100-percent polyester material. 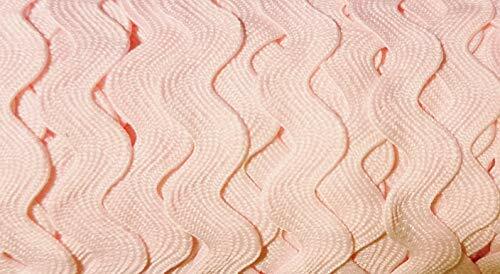 Rick Rack is made by braiding thread into a flat tape creating a zigzag shape. Decorate and trim your clothing, perfect for accenting children clothing. Rick Rack can also be used to decorate curtains, quilts, and an assortment of other craft projects. Some crafters make rick rack flowers and a variety of other crafty uses. Available in mediterranean color and jumbo size. Measures 2-1/2-yard length by 5/8-inch width. Rick Rack in is a sewing notion designed to act as decorative trim on a variety of craft projects. Made of 100-percent polyester material. 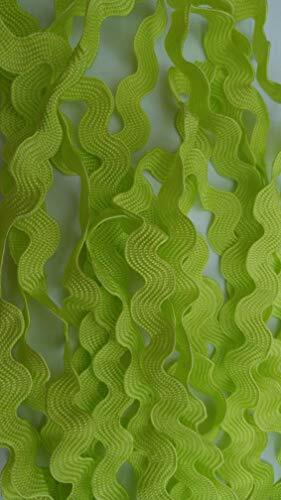 Rick Rack is made by braiding thread into a flat tape creating a zigzag shape. Decorate and trim your clothing, perfect for accenting children clothing. Rick Rack can also be used to decorate curtains, quilts, and an assortment of other craft projects. Some crafters make rick rack flowers and a variety of other crafty uses. Available in candy pink color and jumbo size. Measures 2-1/2-yard length by 5/8-inch width. 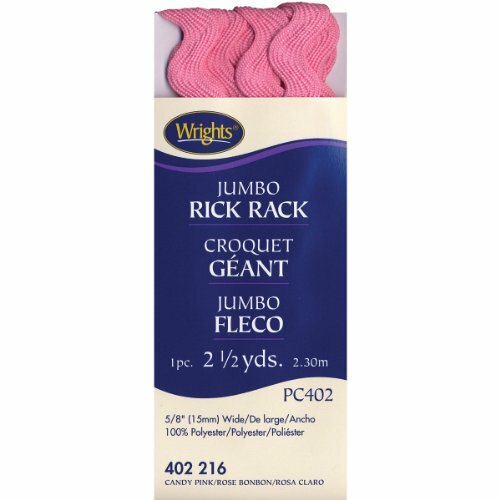 Wrights rick rack is an easy to use accent or edging on clothing, accessories, home decor, holiday ornaments, and any craft project. Made of 100-percent polyester material. It can be fused, glued or sewn on, has non-curl points, and is colorfast. Great for multiple row borders. Available in yale color and medium size. Measures 2-1/2-yard length by 1/2-inch width. 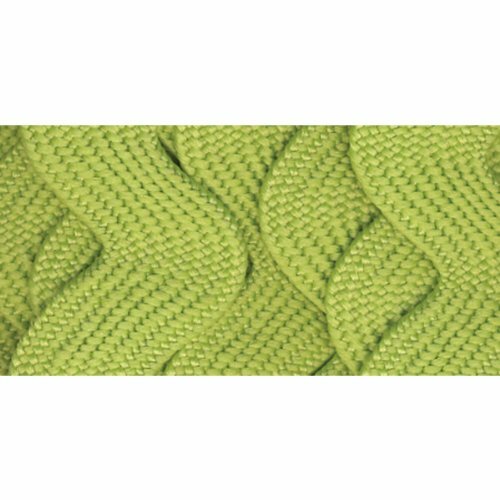 Rick Rack in is a sewing notion designed to act as decorative trim on a variety of craft projects. Made of 100-percent polyester material. Rick Rack is made by braiding thread into a flat tape creating a zigzag shape. Decorate and trim your clothing, perfect for accenting children clothing. Rick Rack can also be used to decorate curtains, quilts, and an assortment of other craft projects. Some crafters make rick rack flowers and a variety of other crafty uses. Available in leaf green color and jumbo size. Measures 2-1/2-yard length by 5/8-inch width. Generous 12 yard bundle of 100% cotton Jumbo Ric Rac. Generous 5 yard bundle of Bright Pink Baby Rick Rack. The width is 1/4 inch wide. Check out our other Bristol Treehouse Trims! Generous 10 yard bundle of Lime Green Rick Rack. The rick rack is 5/8 inches wide. Machine wash and dry. Great for sewing, trimming, embellishment and crafts. Generous 5 yard bundle of Pink Blush Rick Rack. The width is 1/2 inches wide. Generous 5 yard bundle of Lime Green Rick Rack. The width is 5/8 inches wide. 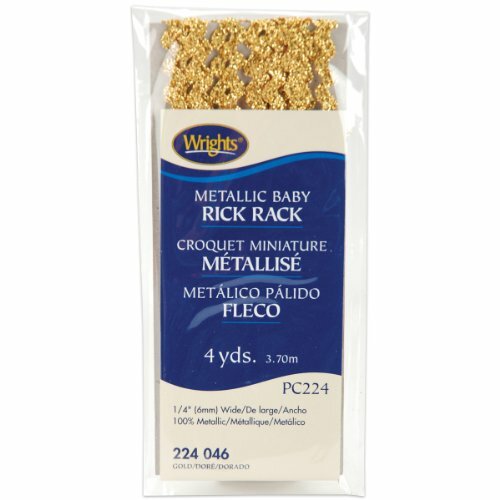 Generous 5 yard bundle of Yellow Gold Rick Rack. The width is 3/8 inch wide. 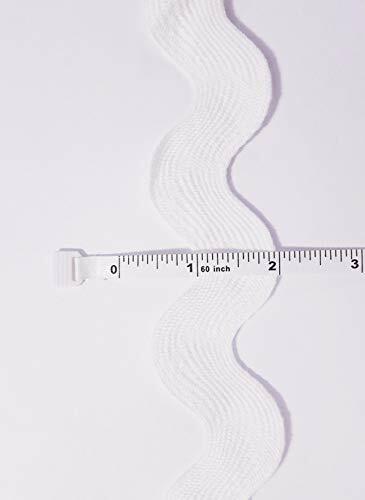 3 yard bundle of 100% cotton JUMBO White Rick Rack. The rick rack is 1 3/4 inches wide.